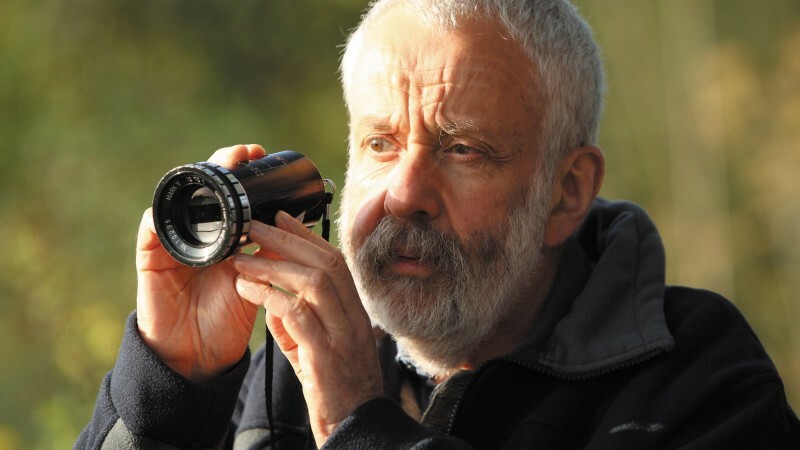 From your first interview with Cardiff (who died in 2009, before the film was completed) to the final cut, this film was thirteen years in the making. How did you become interested in telling his story? 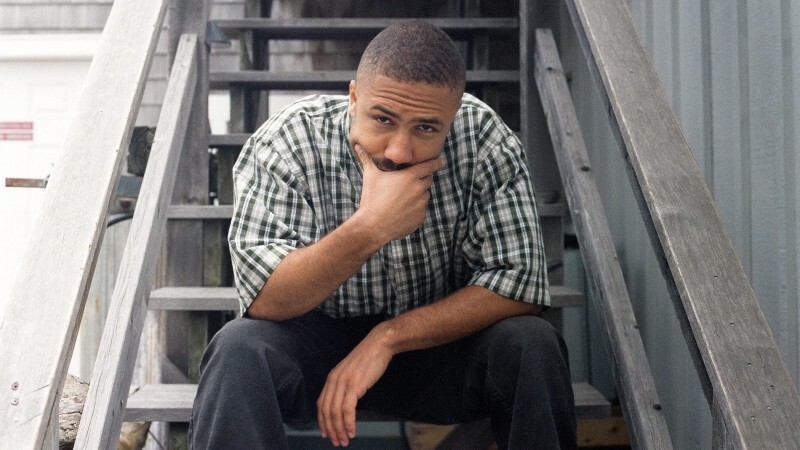 I first met Jack Cardiff when I was making music videos in the early nineties. We were at the EMI offices in London, and Jack was called in to do a video of a performance of Vivaldi’s Four Seasons. He was in his eighties then. At that time, I didn’t know much about him—the only film of his I would have felt confident talking about was A Matter of Life and Death, which had a big impact on me as a kid. 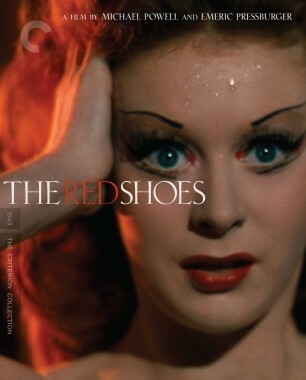 I only became aware of The Red Shoes and Black Narcissus when I was older. One day, Jack opened the newspaper and saw that it had just snowed in Venice; he thought it was such a magical scene and would work so brilliantly with this music that he wanted to go and film it, but the budget wasn’t ready. So he grabbed a 16 mm Bolex camera, drove to Venice himself, and shot it. This guy had the enthusiasm and passion of a twenty-one-year-old filmmaker, and had won every major award he could ever hope to win and worked with every major director. His eyes were like a child’s eyes. He was not one of those who would sit and say, “Back in my day . . .” He was very forward-looking. What first attracted him to Technicolor? 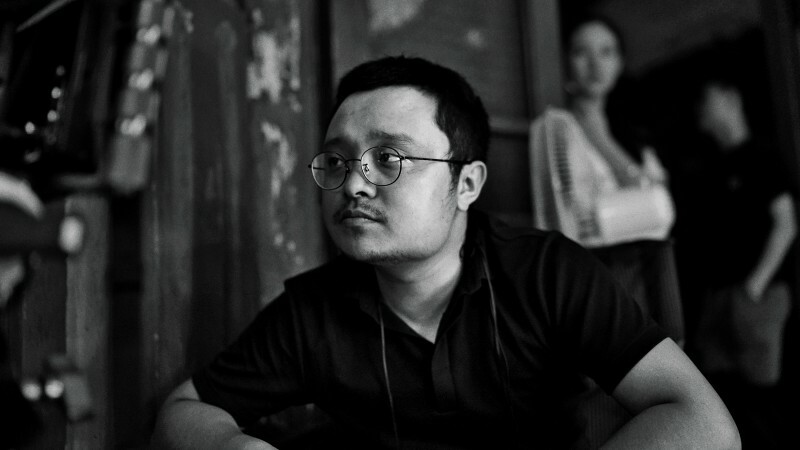 He was working as a camera assistant, and there was an advertisement for a Technicolor trainee position [at an American film lab at England’s Denham Studios], so he applied. There were a lot of technical questions in the interview, and he said, “Look, I’m sorry, I’m not technically minded, but I studied painting and light.” So in the interview, he talked about Rembrandt and other painters, and he thought he’d blown it, but they went for him. His apprenticeship launched him ahead of his peers. How did his relationship with Powell and Pressburger come about? He was brought in at the end of The Life and Death of Colonel Blimp only to do pickup shots, like pipes and ashtrays. But Jack also got to shoot a whole interesting sequence of heads of animals on walls—and Michael Powell was behind him when he was lighting them. So even though it seemed a throwaway, Powell was impressed and said he’d hire him for his next film [A Matter of Life and Death]. At first, they offered to hire him along with a much more senior cameraman, but the other cameraman refused to share a credit, so Powell gave the whole thing to Jack. And the rest was history. 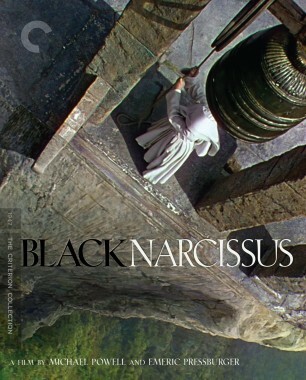 What was his process on Black Narcissus like? Well, Powell and Pressburger’s team would design the film prior to the shooting: art director Alfred Junger and costume designer Hein Heckroth would do drawings and Brian Easdale would compose music for sequences—they would do this on The Red Shoes, as well. As Scorsese says in my film, they literally knew what they were going to shoot. I think this is why it has such a profound effect on filmmakers: it’s very visual storytelling. A challenge the film posed was evoking emotions from many different actresses all dressed in the same nuns’ habits. You have to use lighting and music and editing to differentiate what’s going on with the characters. Also, Technicolor was costing about 25 to 30 percent more, so the studios were predominantly using it for musicals and westerns or outdoor pictures. It was interesting to see Technicolor applied to a dark story based on a novel about sexual suppression and nuns going insane on a mountain. So you can see why a lot of directors wanted to use Jack’s talent for evoking such an intensity of color in a different way. The Red Shoes seems even more radical, especially its pure fantasy ballet sequence. Martin Scorsese says that the Archers, up through The Red Shoes, represented the longest period of subversive filmmaking in a studio ever. The whole team had been brought from Black Narcissus to work on The Red Shoes. Powell wanted to go much further with style in it. By setting their story within a story, they could go crazy, extending every idea to the nth degree. The lead actress’s mental state comes through in colors, the movement of the camera, the music, and the costumes. Why didn’t Jack work with Powell and Pressburger again after The Red Shoes? He probably thought he was going to, but it just never happened. Nothing that I know suggests there was a schism between them. While Powell was finding funding for The Tales of Hoffmann, Cardiff was marching out to Hollywood, finding work with Joseph L. Mankiewicz, John Huston, Henry Hathaway. He also shot a lot of Hollywood pictures abroad, like King Vidor’s War and Peace at Cinecittá in Italy, and Mankiewicz’s The Barefoot Contessa in Spain. He was flavor of the month and got a lot of offers. On The Prince and the Showgirl, directed by Laurence Olivier, Marilyn Monroe got to choose a cameraman, and she chose Jack. He had a big run in Hollywood. He was considered Mr. Color. And his skills were being applied in very different ways; he was going from working on films in which every single shot was properly lit to a film like The African Queen, which just had two lamps, a generator, and a bunch of bounce boards. Speaking of Monroe, there’s a sort of subplot in the film about Cardiff’s portraits of actresses. Is that something you discovered while making the film? Yes, I did, actually. One of the beautiful revelations working on this was going through Jack’s archive of photographs. You’d think the last thing he’d want to do in the middle of these major productions is take photos of Marilyn Monroe or Audrey Hepburn or Anita Ekberg off set, but he spent his lunch hours doing still photography of them. Jack loved lighting these women. In Monroe’s case, you see her in this little bonnet, in the style of Renoir. It had nothing to do with the movie. Do you have a favorite Jack Cardiff image? 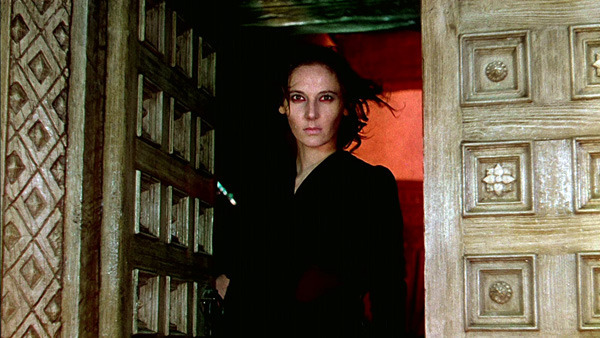 As a core image from any of Jack’s films, it’s probably Kathleen Byron appearing from that door in Black Narcissus. Derek Jarman loved that shot. Kathleen Byron says she just thought she was going out looking a little malevolent. The whole thing seemed mundane. But when she saw it she couldn’t believe it. She is the character who transgresses the most, so therefore the widest palette is applied to her. The other one I love is the overhead shot of the nuns eating at the table shaped like a crucifix. For me, that frame is like a painting. If you put it up on a wall and someone said it was by Caravaggio, no one would bat an eyelid. It looks like it should be in an art gallery.